Q and A how to? Scoring higher marks is not difficult if you really have the right guidance and the right tips to follow. I will simply advise you instead of focusing on scoring just focus only on learning these tips work for you. If you are obsessed for marks then you must work hard because marks don't come easy. 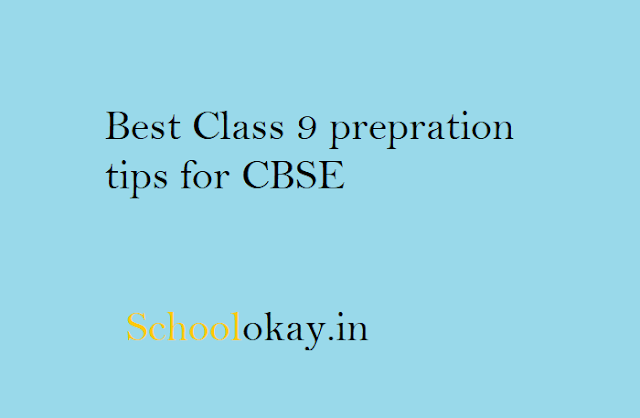 CBSE Class 9 is very basic, you need to first finish your NCERT and after finishing your NCERT then you can refer to other books as well or online material .class 9 is the starting of a new journey to your schooling. you are introduced with new topics that are based on different concepts. All matter you are learning in your class 9 is going to expand in higher classes so simply contribute 100% to each topic. work on your weaker subjects first! The first thing you need to do that you need to work on your weaker subjects, nothing is difficult but we believe sometimes the selective subject is quite tough for you. So you need to work on that first and try practice it more. keep one subject strong from starting! The second thing you need to do that necessity of having your best and focus on subjects really helps you in learning. This will also improve your overall performance. if you have thought about becoming a lecturer or teacher in the future then it is the best time to start. Don't think that studies don't matter, I am in class 9 or something similar to that. Class 9 is starting for creating a good base for all the competitive exams and if you are considering of doing IIT, AIIMS, NIT, NDA, IAS or any other then it's just the best the to start working on that, dreams don't come true in single nights. focus more on learning instead of scoring! Some students just bother about marks and they just mug up things and vomit on the exam sheets. I think that's you need to change, you must learn things wisely these will automatically bring you the best result. You don't need to mug up things or become a parrot for that you need to understand the basics for your good score. practice more mock tests and test series! The best way to score is preparation, if you have a lot of practice outside the field then you will be able to show in the field. Practicing more mock test will help you in knowing whether you are prepared or not? and how much time you need to solve these questions. This will improve your speed in the exam and your scores will automatically increase. if you have any queries just ask? ?